Mike McClelland knows the old-school flipping tube has largely been replaced by modern creature baits, beavers, etc. ; but he also knows that bell bottoms, vinyl records and Disney classics have enjoyed their various levels of renaissance in recent years. That's why he helped develop the 4-inch Tour Flipper Tube — a bait that fits his premise of keeping that tried-and-true presentation in the playbook. So, why the emphasis on tubes? McClelland touts its irregular fall. Ask McClelland when a tube is the right call, and he'll describe a pretty broad spectrum. Here's a round up of his faves. Bass will react to a tube much the way they do a jig in colder water because the tentacles move just like the legs on a rubber skirt do on a winter-time jig. Most other plastics are too rigid in cold water, but a tube's tentacles have life and that slow meandering fall can really get bites nothing else will in the cold prespawn water. 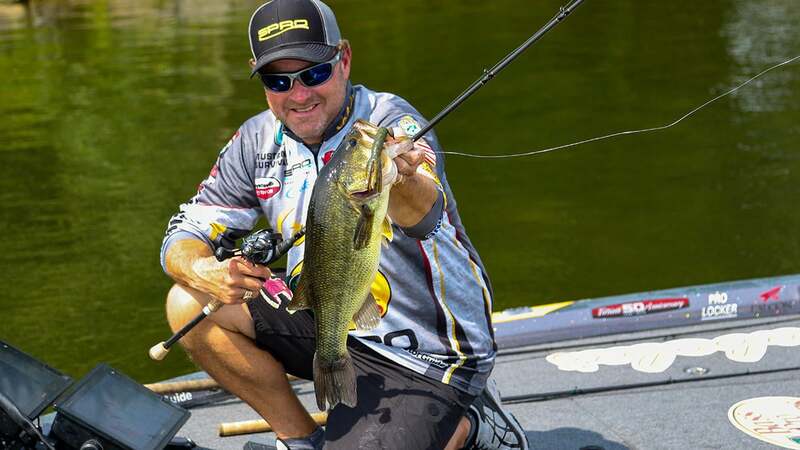 "A bigger, bulkier tube like my Big Bite Baits Tube for when you happen onto that bigger-than-average bed fish will sometimes get that bass more aggressive quicker," McClelland said. 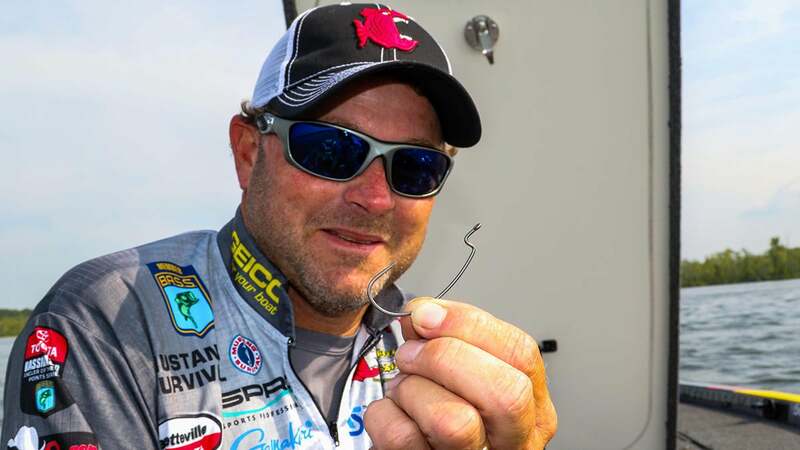 He'll rig the tube on a 4/0-5/0 Gamakatsu Hybrid Worm Hook — a cross between an offset round bend and an EWG — for a streamlined and efficient presentation with a wider bite for better hookups. "I'll use a 3/8- to 1/2-ounce weight because I want to be able to get that bait on the bed and keep it there," McClelland said. When fish are guarding fry, McClelland knows the tube's significant profile and waving tentacles will send protective papas into a full-on defense mode. He'll use the same Hybrid Worm Hook, but he tends to go lighter with the weight; maybe a 3/16- to 3/8. "When I'm fishing for fry guarders, I never peg the slip sinker because I think there's something about the sinker separating from the tube that just makes fish react to it better," McClelland said. 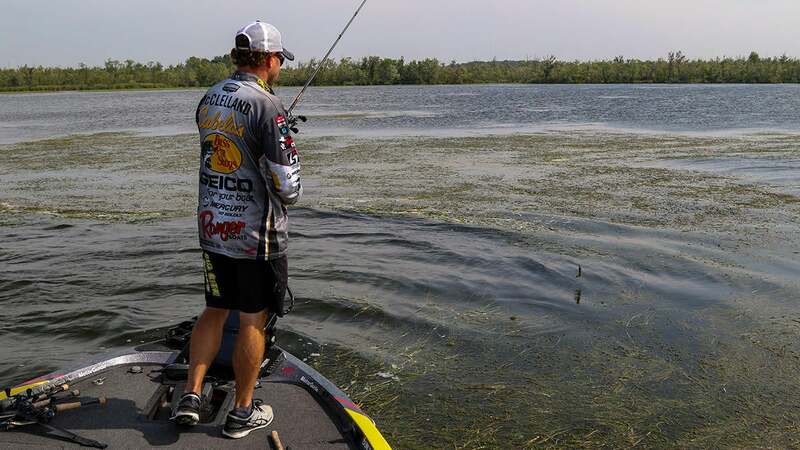 It works just about anywhere a bass lives but McClelland has some favorites. When he's targeting scattered clumps of grass in open water, McClelland finds his tube outshines the common creature bait presentation. Noting that he won't use anything heavier than a 1/2-ounce weight, McClelland offers this tip: Get that bait as close as possible to the stalks of the vegetation. The fish will use the canopy for shade, but they'll have their noses against the stalks. A silent entry is key, but here again, McClelland forgoes the sinker peg. In his view, this makes a bass react by creating a predator/prey appearance — like a bream chasing a minnow. McClelland fishes tubes on his signature series 7-foot, 6-inch Falcon Cara rod with a 6.3:1 Cabela's Arachnid reel (made by Daiwa). He'll go with 18- to 25-pound Sunline Shooter fluorocarbon for isolated cover; but in the heavy stuff, he spools with 50-pound Sunline FX braid. 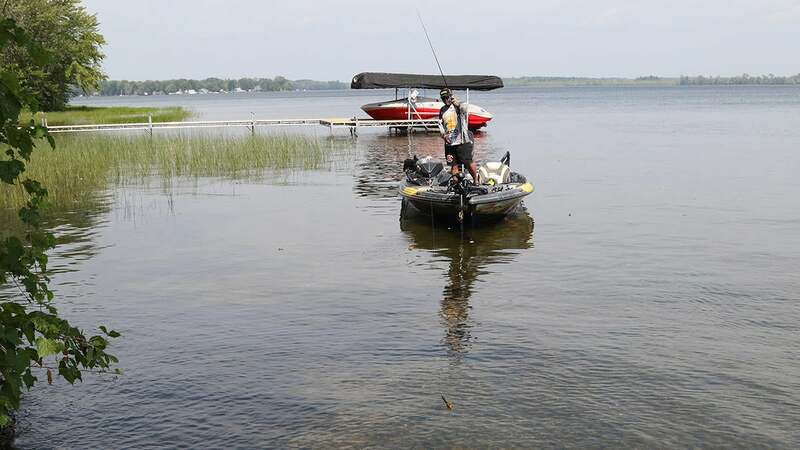 "The mistake people make with a tube is trying to fish too fast," he said. "A tube has a lot more built-in action than people give it credit for. In fact, I often get bit when I'm dead sticking a tube. So, when you're not fishing for a visible fish, I think slowing down is the key and why a tube is so much more versatile than it gets credit for with bass anglers."